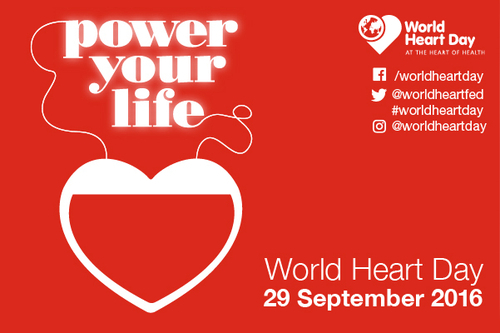 On World Heart Day 2016, the World Heart Federation and its partners are calling on governments around the world to strengthen monitoring and surveillance of cardiovascular health. The World Heart Federation calls on all governments to implement reliable and fit for purpose surveillance and monitoring systems for cardiovascular disease (CVD) in order to better prevent, treat and control the world’s biggest killer. The World Heart Federation is emphasizing the need to ensure that every country has information on the World Health Organization Global Action Plan (GAP) Targets and a set of measures or indicators on quality of care appropriate to a range of contexts including the primary healthcare level. This call is tied to the strengthening of health systems, in particular monitoring and surveillance, by providing complementary recommendations to governments drawn from the World Health Organization NCD Global Action Plan 2013-2020 and the Health Data Collaborative, supported by the World Bank, USAID and WHO. In addition, early treatment of patients with prehypertension or hypertension reduces the risk of cardiovascular complications. Reduce stress and practice relaxation techniques, physical activity will help to prevent.